With a team of IT experts at your disposal, you won’t need to worry about information security. That’s possible with Zentech I.T Solutions, but we understand you may not be ready to transition to managed security services. So if you’re looking for guidance on how to stay safe before you make the switch, look no further. 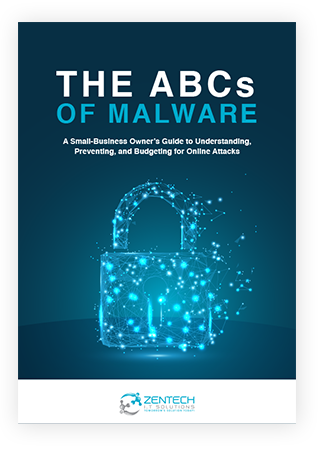 Protecting your business data from malware and other forms of cyberattack is well within the realm of possibility, regardless of how big or small your operation is. See for yourself!